hey everyone i have a set of 4 13" steel rims for sale looking for a quik sale so the price is cheap $40. stud holes have been honed out to suit ae86 , ke70 etc. great for drift as they are very tough , had them on my ke70 for a while but now i need cash to get my silvia running again , tyres are bald . pm if ur interested. thanks . p.s there made by speedy and come with centre caps. 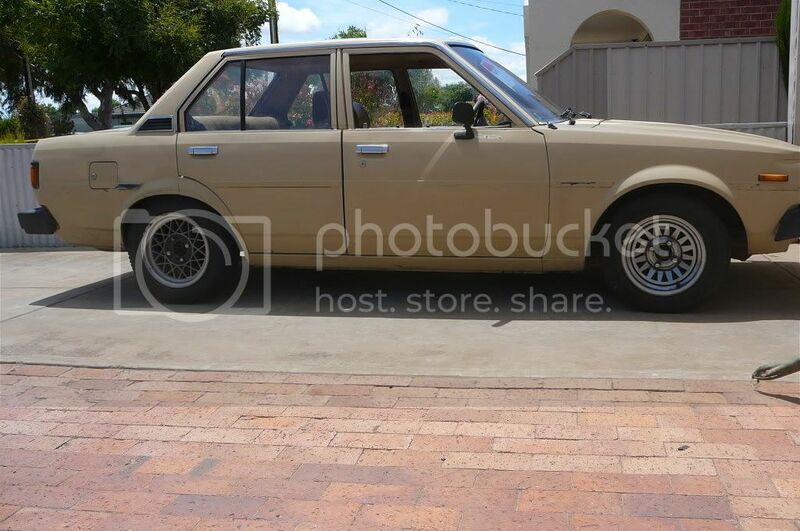 [SYD] full set of Jap rims and tyres for sale! cheap!